Organic acai shampoo is a type of hair product that contains herbal and naturally grown ingredients. Acai shampoo may reduce split ends. Acai shampoo contains extract from the acai berry, which is thought to produce high levels of antioxidant activity. Most blends of the shampoo can be purchased through stores and online vendors that specialize in natural and herbal hair care products. Some of the benefits of using acai hair products include reduced frizz, increased strength and retained moisture. Organic acai shampoo is a type of hair product that contains herbal and naturally grown ingredients. Some individuals prefer to purchase and consume products that are produced in a manner that causes minimal environmental damage. When a shampoo product contains organic acai, it means that the berries used to produce the extract were grown without the use of chemical pesticides. The acai berry is a small, purple colored fruit that is rich in antioxidants and it may help individuals increase their energy levels, lose weight, keep a youthful appearance, and prevent some types of disease. Consumers with dry, damaged, and chemically processed hair may choose to use acai shampoo to reduce frizz and split ends. It can also be used to combat dryness and reverse some of the damage caused by blow drying, styling products, and colorings. The antioxidant properties of the acai berry may also help repair damage caused by the sun and other environmental factors. When paired with acai conditioner, the shampoo stands the greatest chance of controlling damage. Other benefits of using acai shampoo include increased shine, thickness, and protection from damage. Antioxidant activity can prevent free radical damage and protect the hair shaft from drying out. The hair may become smoother and more vibrant-looking with the use of the shampoo. Rather than using styling creams, heavy conditioners, or intense repair creams, acai hair products can offer individuals a proactive alternative. Some brands of acai shampoo include other natural ingredients that complement the product's ability to control hair damage. For example, proteins, fatty acids, and intense moisturizers may be included as supplements. These ingredients also help strengthen the hair and repair the effects of damage. Some of these shampoos focus on repairing frizz, which is not only a problem with dry, damaged hair, but also with curly or wavy hair. Individuals who live in humid climates might also benefit from the use of acai hair products. 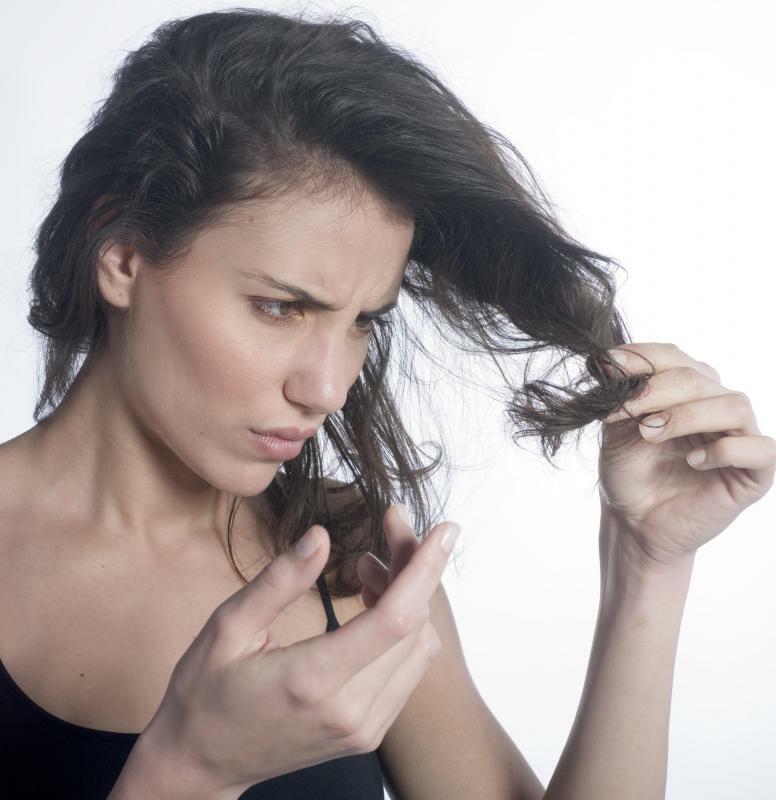 Since high levels of humidity tend to cause frizzy hair, acai extract may help reduce this effect. While acai does not cause the hair to flatten or straighten, it can control its appearance. What Are the Benefits of Mint Shampoo? What Is Apple Pectin Shampoo?